If cutting cost, keeping production lines humming along and not tying up too much cash from sitting in your inventory are part of your KPI’s, you are in the right place. The last thing you want to do is take a cold call from a new supplier promising better quality, a cheaper price and a friendlier account management team. How many times have you heard that promise? We know nothing gets you fired up like being out of stock – resulting in missed sales or shutting down the production line. You need a dependable manufacturer that has a plan. If your suppliers drop the ball, who gets blamed? Probably YOU. Adding a new supplier is a hassle. You have to qualify them. You need to evaluate the ROI, new tooling and cost to change. You have to enter the proper vendor set up forms into your ERP system. Finally, you have to manage two inventories, one down, the other up, and balance your spend at the same time. Whether this is the year of vendor consolidation or diversity (let’s be honest, it seems to fluctuate every few years, right? ), we are uniquely positioned to help you. 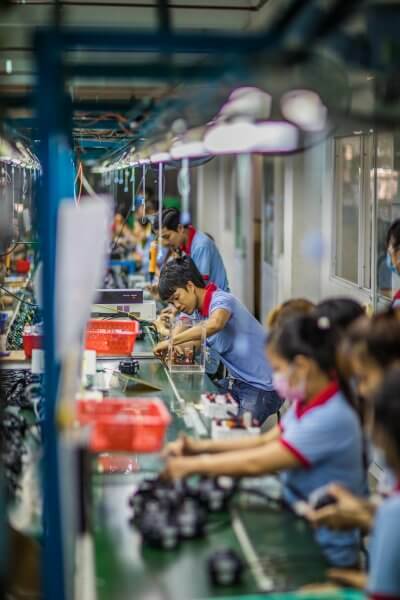 With one source – East West – you can manage multiple projects, at multiple facilities, with multiple manufacturing disciplines, across multiple continents, all while working with the right people during Eastern Time Zone business hours. Do you need to warehouse inventory on the east coast to assist with production planning – we have you covered with a warehouse in Atlanta, GA where shipments can reach 70 percent of the U.S. population in two business days. A second facility handles cargo arriving to the west coast. You have access to a dedicated account management team and online portal to track shipments in real-time. You already know that leveraging economies of scale by sourcing the right components and sub-assemblies from the best source – no matter where that may be – is the future of sourcing. You know that lower cost is a good thing too. So, if you are looking to add, remove or perhaps replace a supplier, East West is here to lend a hand. Read about the problems we solve for our customers here. Are you ready to add or change suppliers?